Thanks to caring people like you who spoke up for caged hens, Publix has publicly committed to going 100% cage-free. With this decision, the 25 largest grocers in the United States have comitted to ending the extreme confinement of hens in their supply chains. 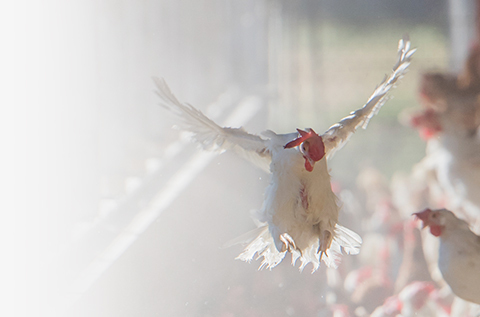 Now, help us continue to improve the lives of all animals. Sign up to get news and quick, simple actions you can take to help animals each week. Enter your mobile phone number below to sign up for text alerts. (standard rates apply). Text HELP to 28656 for help. Text STOP to 28656 to cancel. Questions or Concerns? Call 866-720-2676. We'll email you with news and ways to help animals. You can unsubscribe at any time.